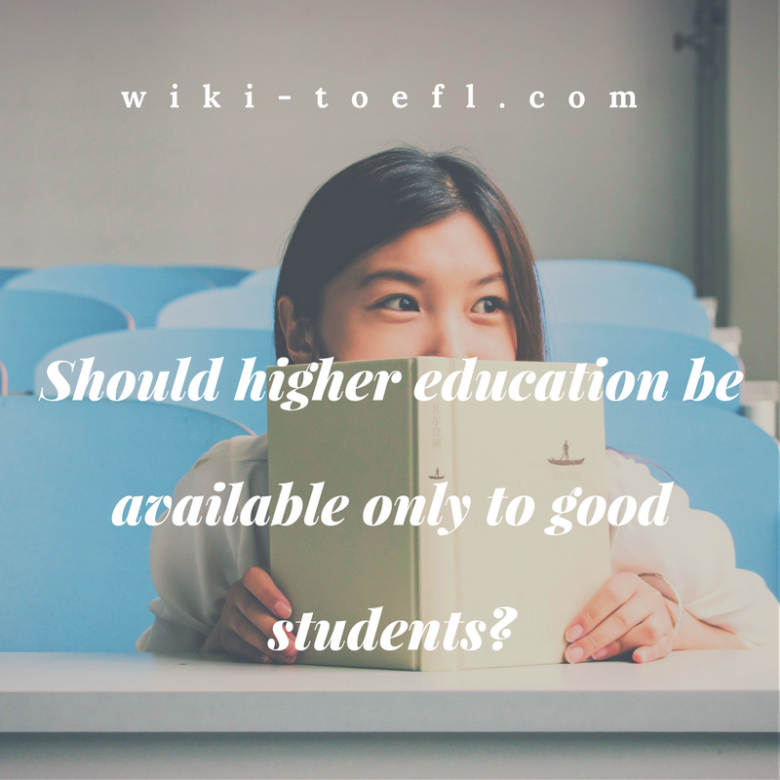 Home Writing	Do you think that higher education should be available only to good students? Both good and bad students should have the opportunity to attend college. Everyone should have a period to learn about themselves before they begin to work and earn money. An education is an investment in yourself and in your future. Good or bad, a student must decide to invest real money and real time. Higher education is very expensive. It might seem like a waste of money to send someone to college who might not be able to handle the course work. Still, education is a valuable investment in future career earnings. People with college degrees make more money and have more opportunities later. If people have a desire to improve their lives, do we have the right to say no? Higher education is also a big investment of time. Some people think a weak student should get a job and earn some money. They think poor students shouldn’t waste their time at college. But college is a time to meet different people, separate from your parents, and begin to define yourself as a person. I think that’s an experience every student should have. I think every student should be given a chance to see how far she can go. Students who got poor grades in high school might do very well in a different environment. College may be expensive and take time, but it’s an investment in one’s self and one’s future.